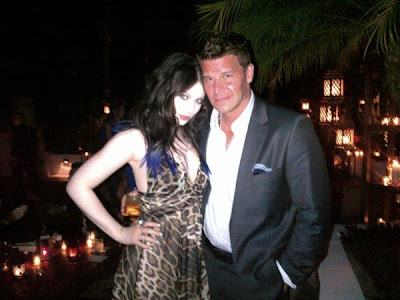 Buffyfest: Michelle Trachtenberg and David Boreanaz Together, Creepy. David Boreano a perv? The guy who has been cheating on his wife with Buffy look a like hookers for ages now a perv? Get out of here. you say the darndest things, internet. First off, it's David Boreanaz, not Boreano. Second, he was not cheating on his wife for ages with Buffy look a likes. It was one affair with one girl. Move on from that, he did and so did his wife. And I'm sorry but he is NOT a perv. It's a picture of him and michelle who he worked with and is friends with. With your logic you might as well say Joss is a perv too. To me, Michelle looks creepier than he does just because she is so pale. Okay, rant over. Its a horrible photo of both of them- David is getting older that's for sure but aren't we all. No real comments about her except i do like the blue in her hair. David looks more uncomfortable than pervy. Michelle's the one who looks creepy but maybe that's on purpose since she's doing that movie. 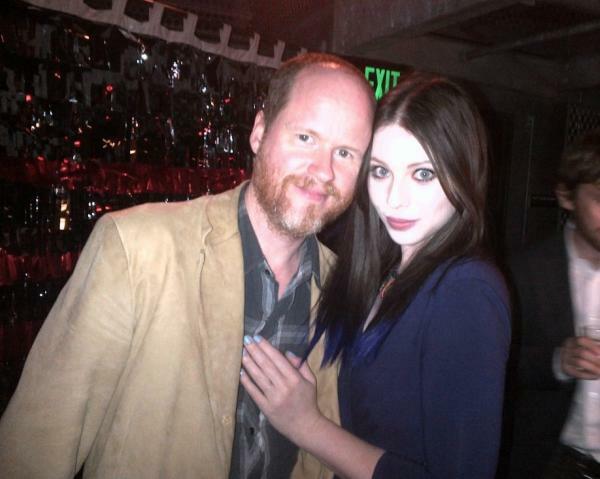 I can hear her whispering in Joss's ear "PLEASE give me a role in 'the Avenger's 2'"
yep she looks creepy for sure. Give the guy a break. He's just in a bad mood because the Flyers frakked up. 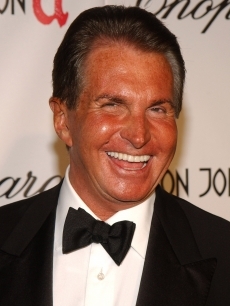 He looks more red then tan. Michelle T. Is posing and he's not. I'm telling you the Flyers made him off his game. And the Sixers loss too. Phillies have injuries. It's tough times for a Philadelphia sports fan lover of his caliber. Ha! Lisa and good point hann. Maybe it's been driving him to drink, hence the flushed face. And Trinity, we always call him Boreano. It's our pet name for DB.